Thanks to its generous venues and facilities, Prahova Plaza Hotel organizes conferences, seminars, trainings, lectures, receptions, cocktail parties, business meetings, presentations with a distinctive atmosphere and excellent conditions. The conference rooms have the equipment necessary to conduct the full range of your events in the best conditions. In our conference rooms we can organize events for groups from 10 to 450 people. 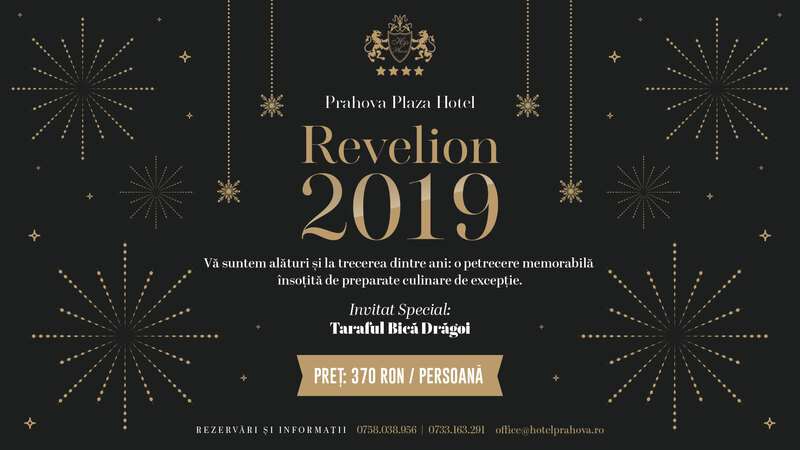 The conference rooms have projectors, medium or giant projection screens, flipcharts, free high speed wireless internet, air conditioning, sound system/lighting (on request), so that any event organized at Hotel Prahova Plaza will enjoy a real participants success and appreciation. For the participants at your event we can provide on request welcome coffee, coffee break, breakfast, lunch or dinner. Events department representatives are available for any event planning to the smallest detail. For a personalized offer please contact us. The most popular conference hall from Hotel Prahova Plaza, suitable for any type of setup and equipped with everything necessary to conduct any event, to the highest quality standards! The perfect venue for any type of event, with an area of 262 m <sup>2</sup> and seats up to 200 seats, is the perfect room for any type of corporate event. The venue features next-generation multimedia equipment.